Doing my job as a wedding photographer italy, is always a dream. Gilda and Daniele were a wonderful discovery. 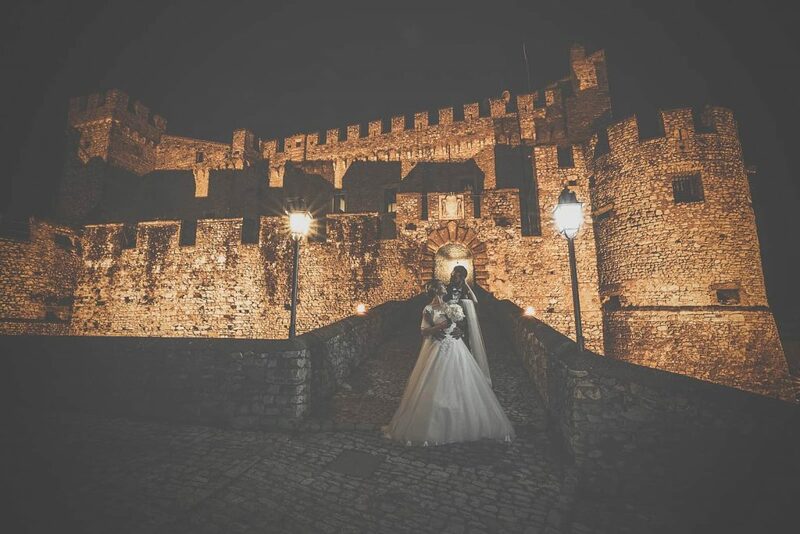 We met for the first time a long time ago, and being chosen as a wedding photographer in an italian castle for their wedding in Nerola was a huge pleasure. Because they are two solar guys like few, with their marvelous families. Before the wedding we had a prenuptial photographic service in Rome, in the Villa Borghese park, where their story started. And we had a lot of fun, despite the early awakening. On a day of uncertain weather, we had a lot of fun. Gilda is a sunny girl, so is Daniele, thanks also to its Neapolitan origins, and when at home, for the preparation, everything was perfect. The make-up by Erika Fuscà, a very talented award-winning make-up artist, a wonderful and perfect dress for Gilda by Elvira Gramano, smiles at will. The ceremony at the Basilica of Saints Bonifacio and Alessio, beautiful in the Garden of Oranges, in Rome, for the solemnity and beauty and afterwards, another great idea, some portraits in thev amazing garden of the Basilica. For the reception, they chose an italian Castle, Orsini in Nerola. A beautiful and authentic, truly medieval place just a few kilometers from Rome, with an admirable management and emotional participation to be remembered. Beautiful, indeed. The external style is Romanesque-medieval. An outer wall with ramparts rises from a moat. The castle itself consists of four corner towers, one of which is circular and another is quadrangular, both with crenellation, imposing and much higher than the outer walls. There are no precise information on the dating of the castle, but hypotheses date it back between the 10th and 11th century, the same period in which some countries began to take refuge in Cremuzzoli and building castles. Even the first centuries of the castle are dark, but sources indicate the ownership by the Orsini family (hence the name) in 1235. This family reinforced the castle by elevating the corner towers and surrounding the castle with a wall. Let’s have a big party then and the honeymoon on the road in the USA. Who knows what are they thinking of this gallery and their wedding photographer italy , while having fun? Get in touch, I’ll tell you!